Home / Articles / Playing for the future – why study games design? Dr William Huber of Abertay University will visit Thailand this week to discuss exciting new developments in the world of computer games, including how digital technology is transforming the worlds of art, performance and theatre. In this article, Dr Huber highlights the benefits of an Abertay games degree and the opportunities available in the computer games industry. 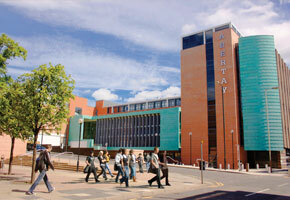 Abertay University is one of the world’s leading universities for teaching computer game design, and is the only university outside of North America ranked in the prestigious Princeton Review of Top 25 Schools to Study Game Design. The roots of Abertay’s excellence in computer games go back to the 1980s, when the university taught Dave Jones, creator of the global hit games Lemmings and Grand Theft Auto. Then in 1997 Abertay launched the world’s first degree in Computer Games Technology. Today graduates of Abertay University work all over the world at the companies responsible for games including Assassin’s Creed, Grand Theft Auto, and the console version of Minecraft. 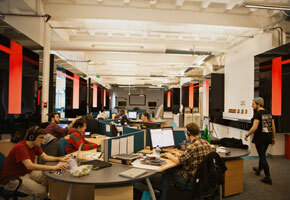 Dr Huber said: “There has never been a more exciting time to study game design and development. This is a creative, fast-paced industry which offers rewarding careers and the opportunity to travel all over the world. Students at Abertay University get to work directly with games companies during their studies, including receiving creative briefs from companies like Disney, Microsoft and Sony to work on in teams. The focus is on simulating the environment of a game studio, helping students to understand the skills they need to work in a games company – or to start their own business. Dr Huber added: “It’s fascinating to see how our students respond to the creative challenges our games industry partners set them, and how they work together with a major client to create a new game. “We’re also very interested in the future of gaming – we’ve worked on projects linking digital technology with traditional arts, museums, live dancers, international theatre companies and many other partners. For more information about studying computer games, please see the Abertay University website.